For an eye-catching addition to your carnival, fair, theatre, or party, use this Carnival King 3 1/2" x 2 1/4" x 8" 1 oz. popcorn bag. Each bag holds 1 oz. of hot, buttery popcorn. It has a fun and vibrant white and red design with the words "Pop Corn" in a featured circle for a fresh and fun look. This popcorn bag is ideal for serving individual portions of popcorn with a small, yet versatile 1 oz. capacity. The elongated design of the bag gives it a higher perceived value, and the vertical stripes only add to that illusion. 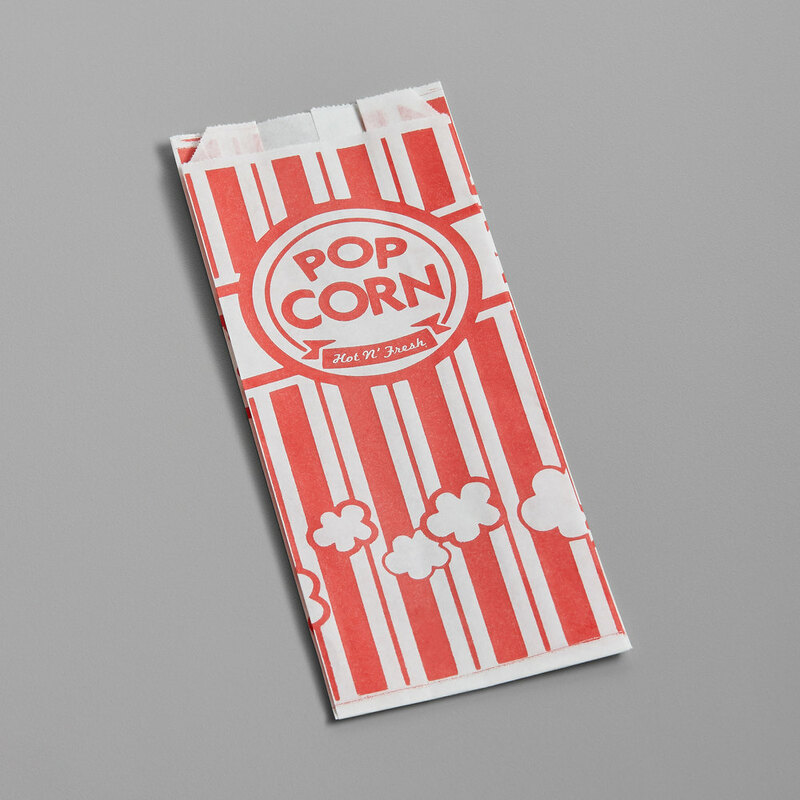 This popcorn bag is perfect for concession stands or for offering complementary popcorn to your customers. Use it to draw in potential patrons or treat your existing customers.